They are from Joe Fresh, yellow. You liked what I liked last week. I figured I would do it again, but this time, with things I would like to have in my possession. 1. 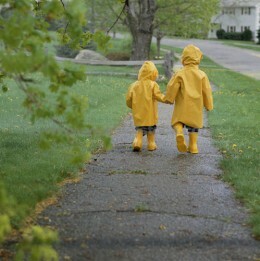 Bright yellow rainboots – It’s the cliche spring item, but they’re so delightfully adorable! Whenever I’m wearing rainboots, I always have the urge to jump in giant puddles…because I can. If only I could find a pair on the cheap…. 2. Trench coat – Another classic piece. I saw some super cute ones at Club Monaco, but what I really really want is some Burberry.